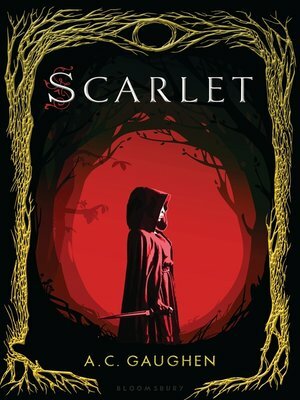 Robin Hood is given a fresh, feminine twist in this romantic retelling from the point of view of "Will Scarlet"
Scarlet is good at keeping secrets. To the people of Nottingham, she's Will Scarlet, the young lad who protects those who cannot protect themselves. To Robin Hood and his band of thieves, she's the girl with a tongue as sharp as her knives. But nobody knows the truth about Scarlet's life before Nottingham—not even Rob, whose quick smiles have the rare power to unsettle her. And when someone from her past comes hurtling back into her life, everything she's fought for is suddenly at risk, including her own life . . .